If you’re planning an outdoor event that includes pets, amenities are important to keep visiting pets happy and healthy. For example, you’ll want to make sure there are shady spots to rest and access to lots of water, particularly in warmer months or climates. Dogs need more water than people do! 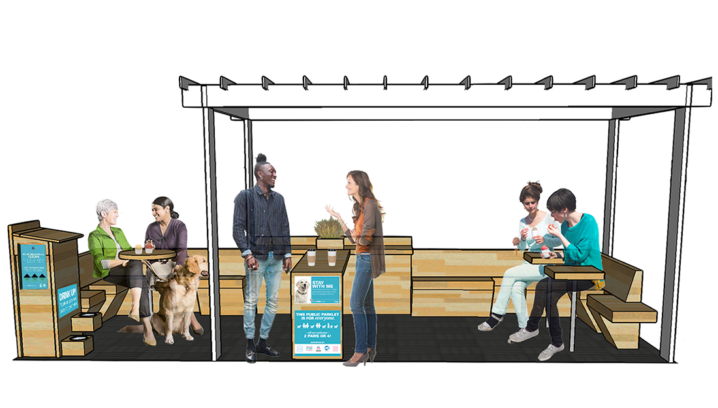 Here’s a look at a sample pet comfort station and key features that make it a success. Shade. If your space doesn’t have shade from trees, you can accomplish this with a tent, especially if it has at least one side panel to help block sunlight. Water. Provide water fountains or water bowls that are refilled with clean water from a cooler. Keep in mind that dogs need more water than people. Better to over-plan and have leftover water than to run out. Waste station. Designate a pet relief area and provide free waste bags and a trash receptacle. Chairs or benches. People and pets need space to rest, especially on warm days. Simple benches or camp chairs are a welcome relief for pet owners. Locate your comfort station in a grassy area to provide comfortable “seating” for pets. Treats. Walking around all day makes us all hungry! Consider having treats on hand for pets who need a pick-me-up from a busy day. 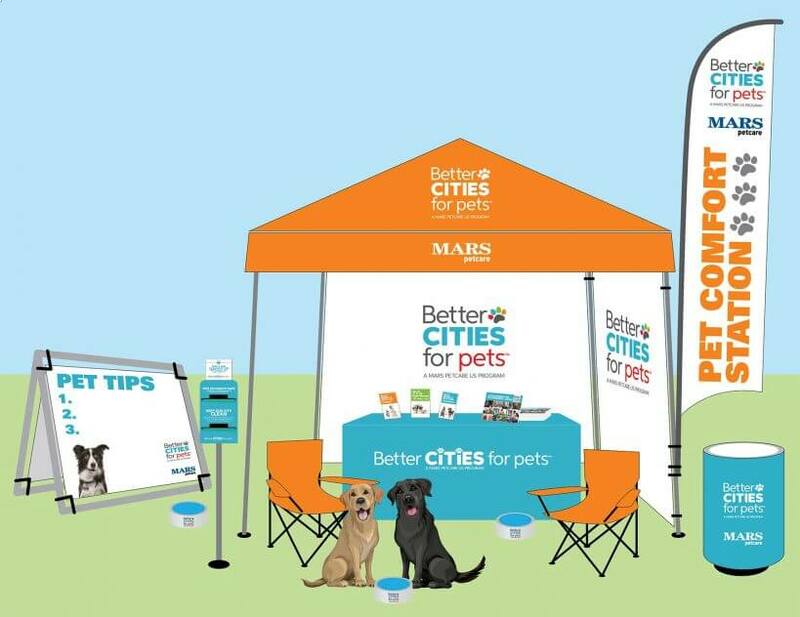 Visit the BETTER CITIES FOR PETS™ online store for purchase options. Signage that encourages responsible behaviors at your event, such as always using a leash and picking up pet waste. Our store sells individual signs on these and other topics, as well as a 10-sign set covering a wide array of responsible behaviors. Advice from local experts. 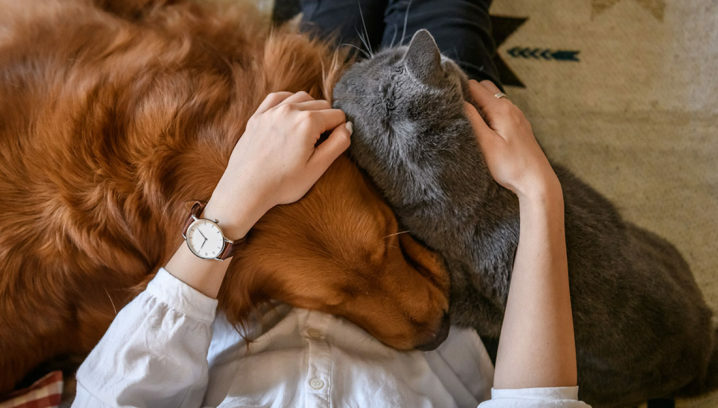 Consider inviting a local pet training expert or veterinarian to help you staff your comfort station and offer advice and support to community pet owners. Want more tips? 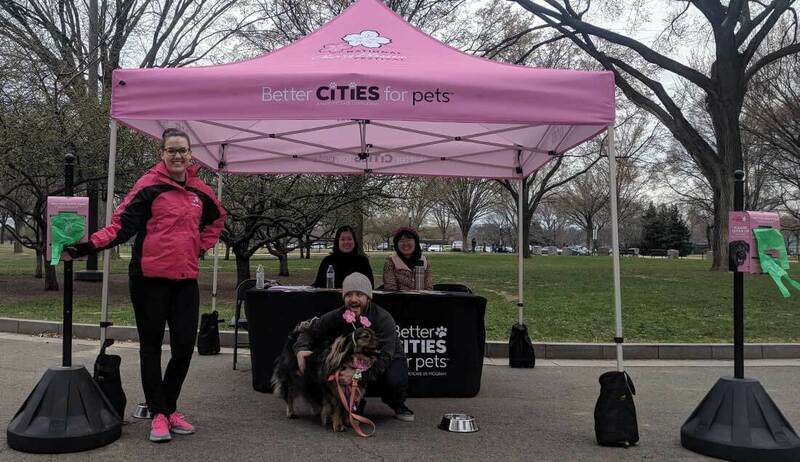 Check out Trait 8 in the Playbook for Pet-Friendly Cities (PDF) for information about public amenities to keep pets happy and healthy.